Nowadays, we have access to everything, and the luxury things costs less to achieve. That's why we propose to spend Christmas in a place that gives you more, an experience. Discover our selection of eco-luxury hotels for winter. Whitepod is located in Valais (Switzerland) and is characterized for its pod rooms. Designed to combine ecology and luxury, a pod is a unique form of accommodation. A pod is a geodetic shape: a sphere composed only of triangles. The pods have a self-supporting framework which provides a solid structure whilst using a minimum of material. Each pod is an individual room or rather a suite. Connected to the water system and heated with a pellet stove, the pods have all the comfort of a traditional hotel. Your very own cosy cocoon isolated from any nuisance in a breathtaking landscape. Whitepod has some original activities for its clients. Located at the foot of the Dents-du-Midi mountain range, you can have access to a multitude of signposted hiking trails to discover the region and it’s amazing nature. You can enjoy its private slops! 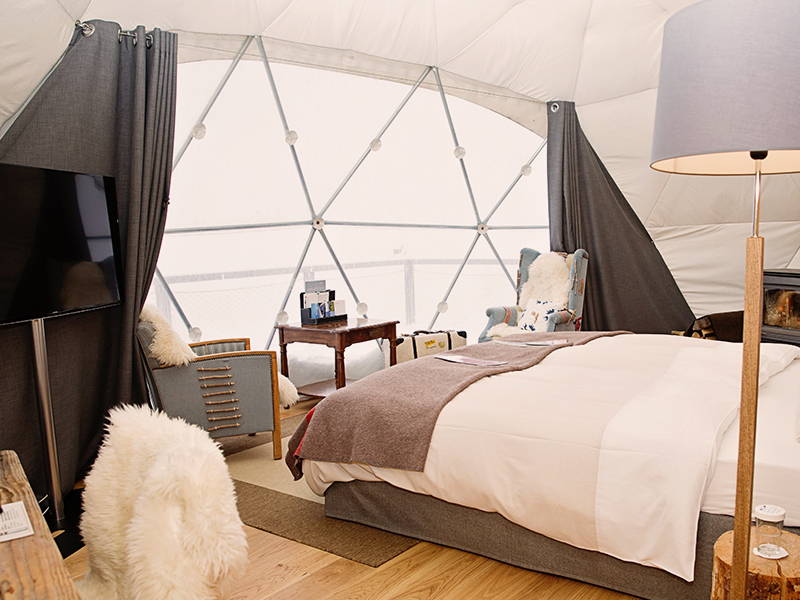 Whitepod manages its own ski slopes which are exclusively open for its guests. The domain has two ski-lifts and 7 km of red and blue slopes. Last but not least, Whitepod has 6 snow-scoots and helmets at your disposal: experience a unique activity combining biking and snowboard. We also have traditional sledge for extra fun! A farmhouse style, woodsy cabin was designed by Wade Design Architects in collaboration with Jennifer Robin Interiors, located in St. Helena, a city in Napa County, California. 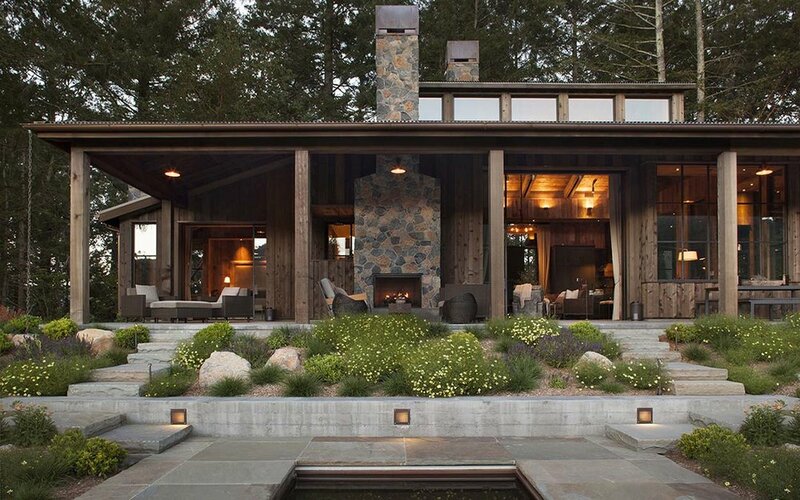 The home was originally designed as a guest cabin on a wine country property that has a main house on site. It was meant for guests to stay while the homeowners lived in the main residence while on vacation. As the owners spent more time on the site, they realized they preferred to live in this smaller, more efficient design. At just 1,200 square feet, this woodsy cabin exudes a warm and welcoming aesthetic. The homeowners requested the design team to create a cabin that appears as if it came from the land. The home feels quite spacious for its size, nestled into the site while maximizing the views. The surrounding views are breathtaking, a working vineyard and mountains in the distance. To increase the feeling of spaciousness, the architect encouraged as much natural light as possible. Icehotel – a world famous hotel and an art exhibition made of ice and snow. Founded in 1989, it is reborn in a new guise every winter, in the Swedish village of Jukkasjärvi – 200 km north of the Arctic Circle. The Torne River, the arts, and creating a setting for life-enriching moments are at the heart of it all. This winter season there is big news— a whole new ice experience to be enjoyed alongside our classic Icehotel experience. ICEHOTEL 365 is a permanent structure that will include luxury suites, each with private relax and bathroom, and art suites, all sculptured by selected artists. As well as a large ice bar that serves champagne, and an ice gallery. This ice experience can be visited year-round and is cooled by solar panels during the summer months.